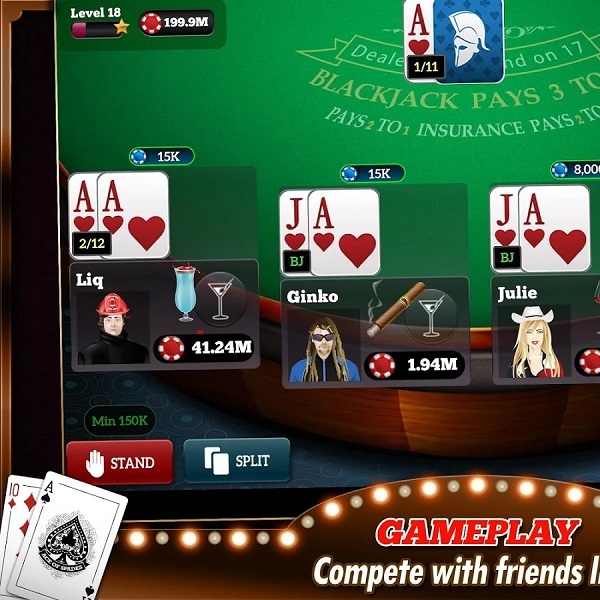 There’s a new multiplayer free blackjack app for users of Android smartphones and tablets, Blackjack Live Casino. The game is a classic Las Vegas Blackjack 21 card game which has loads of special features including live chat, the ability to challenge friends and create avatars complete with cocktails and evening dress. Players can choose from hundreds of tables to play at and also take part in blackjack tournaments thanks to Guest and Facebook sign in options. In addition to an excellent social blackjack experience, players can also enjoy a series of mini games such as Scratch ‘n’ Match and Lucky Wheel where millions of chips can be won. The game is already a hit, having launched just a couple of months ago it has already had well over one million downloads. Furthermore, it is completely free.